When drilling or nailing into your walls it is essential to know what is behind the hole you are creating. This image is an example of what can happen if you aren’t certain it is a stud you are hitting. Behind your walls are items such as pipes for plumbing and/or natural gas and wires for your electricity. It is very important to know you are not hitting and damaging those items when drilling or nailing into your walls. The best way to find the studs in your wall is to use a stud finder that differentiates the studs from pipes, there is also usually a separate indicator light for the presence of electrical wiring. Even after you feel certain you have found the stud drive a panel pin through the wall, if you feel the resistance of the wood you will know it is the stud. Creating a hole in the wall blindly can cause major problems. In this case the pipe was thought to be a stud and several holes were drilled into it creating a water leak. The pipe was replaced but is a great example to all of us what can easily happen. Many garbage disposal problems can be avoided altogether with the proper care and maintenance. When using your disposal start by letting cold water run through it for 15 seconds before turning it on. Allow the water to continue running and begin to slowly feed the food into the disposal until the grinding stops. Turn off the disposal and allow the water to continue to run through the disposal for about 30 seconds to make sure the disposal is clear. Never put items such as plastic, metal, glass, or any kind of paper products into the disposal as these items will cause damage to the blades and or motor. When putting food into the disposal make sure you do not put foods with tough skins such as potato peels or fibrous food such as celery stalks into the disposal. These types of foods can wrap around the motor or cause clogs. Grease should also never be poured into the disposal, because the grease will solidify and accumulate causing clogged pipes or bad odors. To keep your disposal clean and fresh. Run hot water and soap through the disposal daily. Freshen up your disposal by chopping up lemons or limes and grinding them up in the disposal. Vinegar is also a great way you can eliminate odor causing bacteria from your disposal. Maintain your disposal and keep it in great shape to avoid unnecessary repair cost. This is a prime example of how brass plumbing fittings can corrode from well water. This one was discovered by the homeowner after the corrosion caused a leak. Corrosion is caused by the minerals and chemicals from the water. If you suspect your water is corrosive you should have it tested. Corrosion can be prevented and corrected before causing problems. Installing corrosion resistant components on your plumbing, and installing a neutralizing filter system are some of the things you can do. 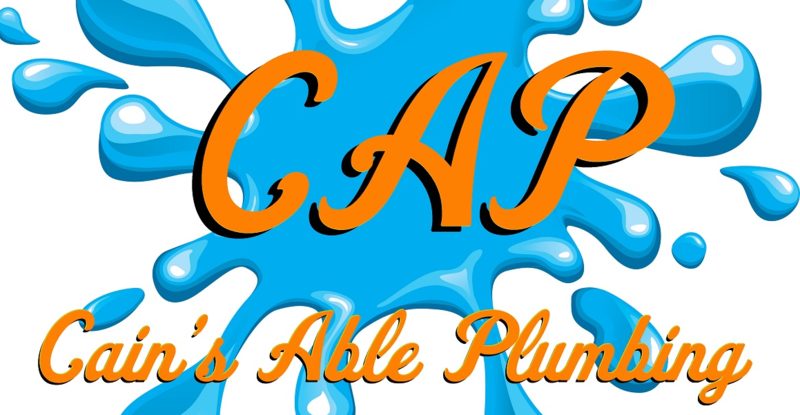 If you are having problems or suspect corrosion and need help give us a call here at Cain’s Able Plumbing. Our guys can help you with your corrosion problem and any other plumbing issues you may have.